The GTR Lighting CSP Mini LED Low Beam Headlight conversion kit is one of the only kits on the market that allows for PLUG AND PLAY installation on the 2009-2018 Dodge Ram with factory reflector headlights! Watch the video for detailed install instructions. This conversion kit will allow you to run LED lights in the low beam without any issues. Many LED kits don't interface well with the Dodge Ram CANBUS system but the CSP Mini LED bulbs work great when partnered with the Dodge Specific CANBUS module as shown in our install video. 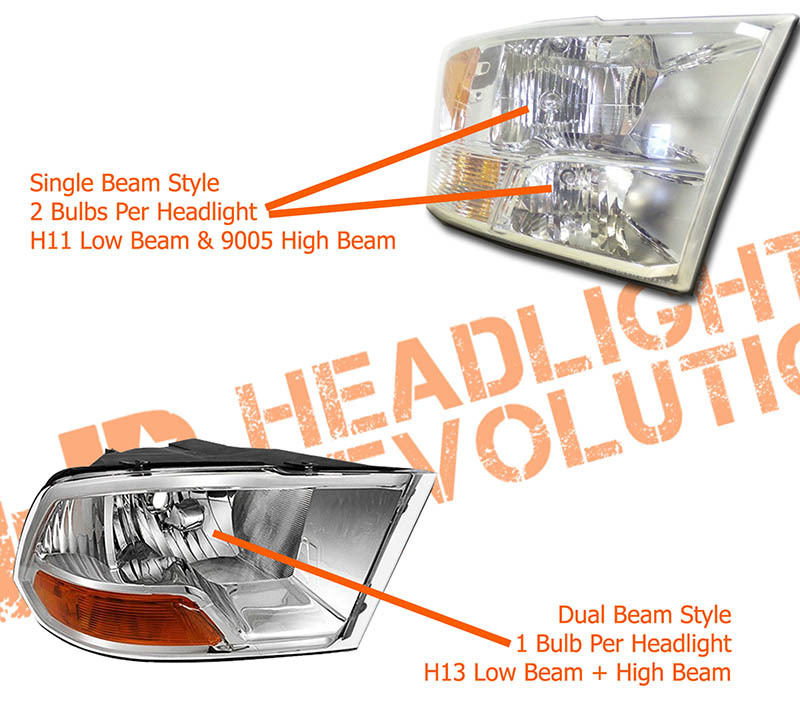 SOLD AS A COMPLETE KIT FOR SINGLE BEAM STYLE HEADLIGHTS(Low Beam) - Not for use with H13 bulbs! This LED conversion kit bulb upgrade comes with everything needed to install on any 2009 - 2018 Dodge Ram truck with factory reflector style headlights.